Give your vehicle the gloss and protection it deserves! There's no better way to "wax" your car, period. And by wax, I don't actually mean wax - I'm talking about McKee's 37 Hydro Blue SiO2 Coating, something far superior to a conventional car wax or sealant. Hydro Blue is a spray on, rinse off nano-coating that provides unparalleled levels of gloss, protection, and slickness. 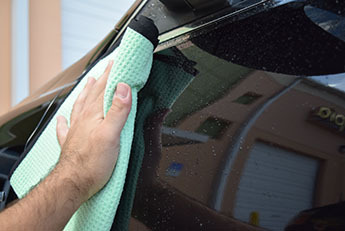 Best of all, it's as easy as spraying on and rinsing off after you wash your vehicle. The McKee's 37 Hydro Blue CONCENTRATE Wash & Coat Kit contains everything you need to use this innovative, award-winning surface coating. Total retail value of $132.94. You save $32.95!